Galpin Motors is known by all in Los Angeles as the region’s largest Ford Dealer. There are things you may not know about Galpin Motors. When a celebrity is interested in a car their publicist reaches out to Detroit and they are given celebrity pricing and sent to Galpin Ford. The cars are all delivered through Galpin. It’s important for the Ford brand that celebrities drive their vehicles so they are heavily discounted and it is assumed that Galpin is the right place for them. In a moment you’ll see why this is relevant. The Galpin Group of Dealerships have made a lot of money off of the Hollywood elite and sports stars both current and retired. Their customizations are often featured on TV and they get all the of the celebrities, so you’d think they’d be grateful. I assume the staff are but the vice president and general counsel of one of the world’s largest automobile sales and service businesses is certainly not. Good morning cupcakes and Hollywood assholes. 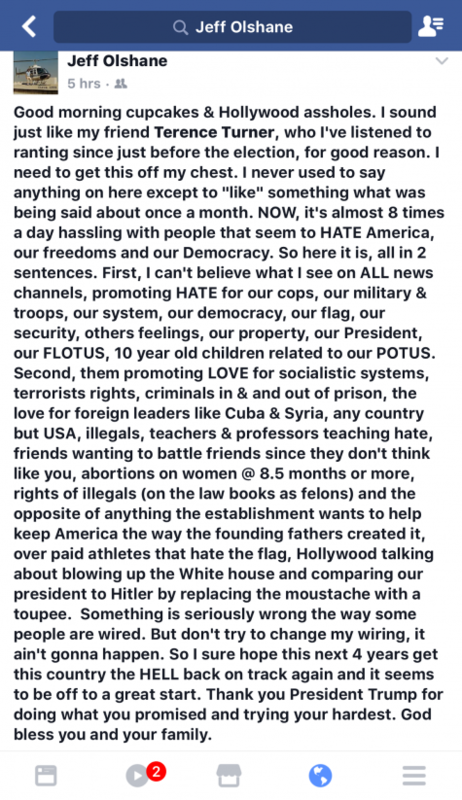 I sound just like my friend Terence Turner, who I’ve listened to ranting since just before the election, for good reason. I need to get this off my chest. I never used to say anything on here except to “like” something what was being said about once a month. NOW, it’s almost 8 time s a day hassling with people that seem to HATE America, our freedoms and our Democracy. So here it is, all in 2 sentences. First, I can’t believe what I see on ALL news channels, promoting HATE for our cops, our military & troops, our system, our democracy, our flag, our security, others feeling, our property, our President, our FLOTUS, 10 year old children related to our POTUS. Second them promoting LOVE for socialistic systems, terrorists rights, criminals in & out of prison, the love for foreign leaders like Cuba & Syria, any country but USA, illegals, teacher & professors teaching hate, friends wanting to battle friends since they don’t think like you, abortions on women @ 8.5 months or more, rights of illegals (on the law books as felons) and the opposite of anything the establishment wants to help keep American the way the founding fathers created it, over paid athletes that hate the flag, Hollywood talking about blowing up the White house and comparing our president to Hilter by replacing the mustache with a toupee. Something is seriously wrong the way some people are wired. But don’t try to change my wiring, it ain’t gonna happen. So I sure hope this next 4 years get this country the HELL back on track again and it seems to be off to a great start. Thank you President Trump for doing what you promised and trying your hardest. God bless you and your family. Jeff…. Well said!!! The problem here is….At the end of four years, when the economy is better, there are jobs, we are safer, respect has been brought back… It still won’t be good enough for the libtards. 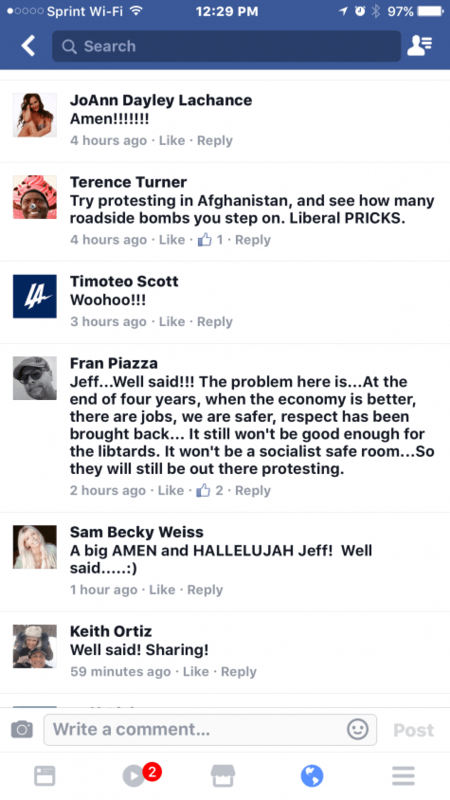 It won’t be a socialist safe room…So they will still be out there protesting. Why is Fran Piazza relevant? Well, Fran Piazza is the Reseda Neighborhood Council Chair. Here is their calendar. I recommend showing up on February 9th for the Valley Alliance of Neighborhood Councils. It would be important for his peers to see and hear his words as Fran Piazza allegedly represents you who live or do business North of Victory, South of Roscoe, West of White Oak, and East of Corbin. If you can’t show up in person you can contact Fran Piazza’s colleagues and ask them if Fran is the right man to work for the good people of Reseda. Here is the executive board. 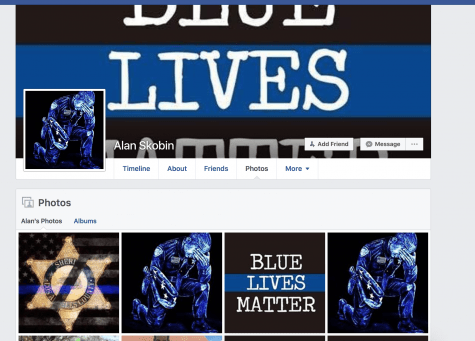 Alan Skobin is a reserve deputy sheriff for Los Angeles County and past police commissioner. Do you want that man with a badge a gun “helping” people in disenfranchised neighborhoods? I’m also not saying that he hates black people but you can draw your own conclusions. Let’s face it, Galpin Motors loves the Trump Administration. Bert Boeckmann (the owner of Galpin Motors) co hosted a fundraiser for Trump asking for $449,400 per person. I think it’s safe to say that Boeckmann has enough money and it won’t hurt him if people like me go elsewhere for our vehicles. So, now you know a little something about Galpin Motors. Would you like a referral to another dealership? I bought my last car at Sunrise Ford and it was a lovely experience. In fact their service department is extraordinarily accommodating and efficient. I’m shocked that Detroit would trust Galpin Motors with their prized celebrities.